It’s said that the family that eats together, stays together! 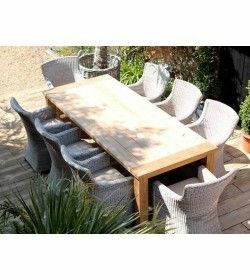 So, no doubt that your dining furniture should be selected wisely that will be liked by all. 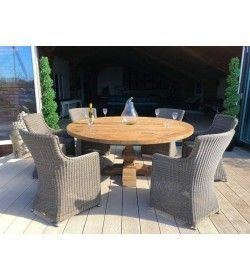 Find the perfect teak dining furniture range for your family gathering in your outdoor space here at Garden Furniture Spain. 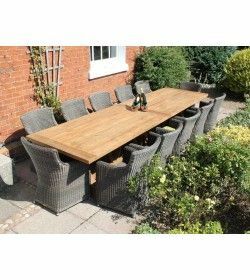 You must positively check out the teak dining furniture sale. 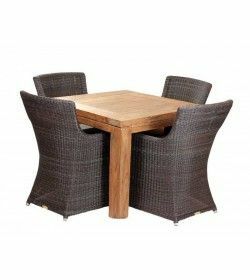 Teak dining furniture works wonders both indoors as well as outdoors. 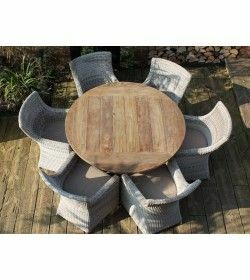 They add a tinge of nature to your home décor. 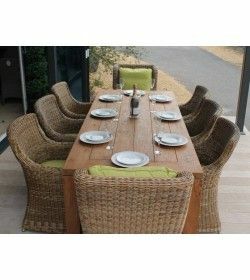 The natural teak is widely renowned for its strength, durability, minimal care and it can be recycled. 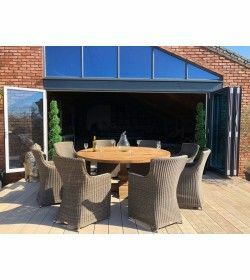 Hence, teak is often wished for outdoor living. 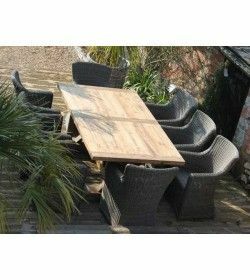 Garden Furniture Spain offers recycled teak outdoor furniture products for you to enjoy a premium outdoor living. 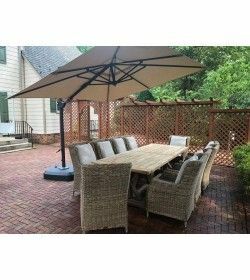 Are you looking for some budget-friendly price? 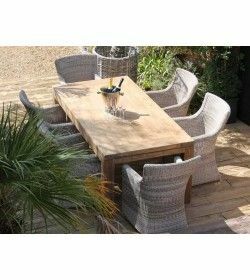 Grab hot deals in teak outdoor dining sets sale at Garden Furniture Spain. 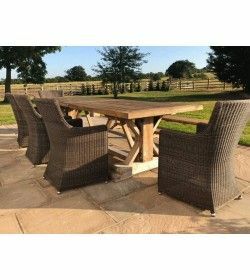 Shop Online for Teak Dining Furniture at Gardenfurniturespain.com. 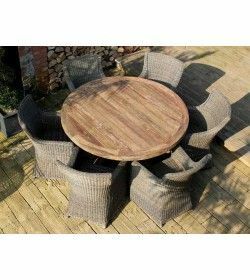 Browse through the teak dining table and chairs for sale for a wide variety that comes in several designs and sizes that will be a valuable addition to your outdoor décor. 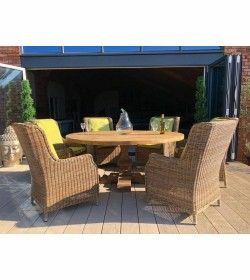 Fresh air coupled with teak outdoor furniture from Garden Furniture Spain make a deadly combination. 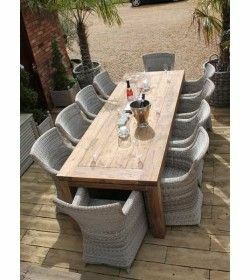 So, create a timeless outdoor dining space for you and your dear ones to experience and relish the ambience.